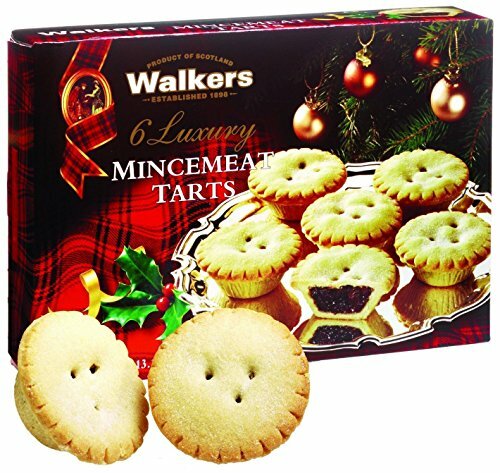 Delicious, Luxury, Classic Tart Walkers Mincemeat Tarts are luxury tarts that include filling of apples, currants, sultanas, stem ginger, candied citrus peels and more. They are baked in the secluded village of Aberlour, Strathspey in the heart of the Scottish Highlands. These tarts are made with finest and purest ingredients. They are traditionally served warm with fresh cream, creme fraiche, ice cream, custard or brandy butter. These tarts are made with finest and purest ingredients. They are traditionally served warm with fresh cream, creme fraiche, ice cream, custard or brandy butter. If you have any questions about this product by Walkers, contact us by completing and submitting the form below. If you are looking for a specif part number, please include it with your message. Fitness Box - Protein & Healthy Granola Bars NEW ASSORTMENTs Sampler Snack Box (30 Count) - Care Package - Gift Pack - Variety of Fitness, Energy Bars and KIND Bars.